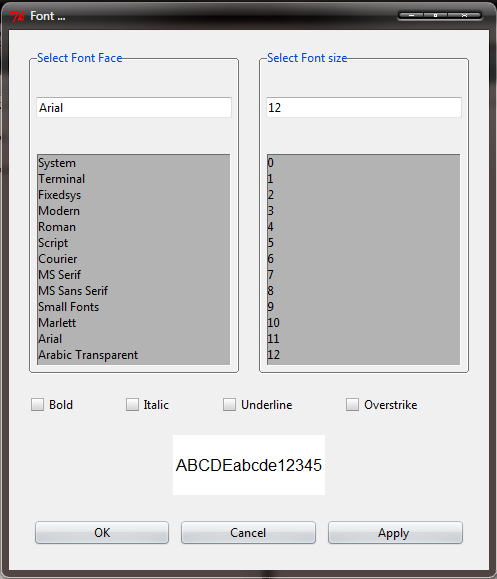 today, we will discuss about how we can create an font chooser window for text editor. For this purpose i am going to use tkFont module. This module is very compatible for this purpose because with this module, we can change font configurations simply. So, here i am going to show you an Screenshots of Font selecting dialog box created by me. Because we will use this script as a module. Now, Run this script and you will see an Font chooser with live demo. You can also upgrade this code as your need.